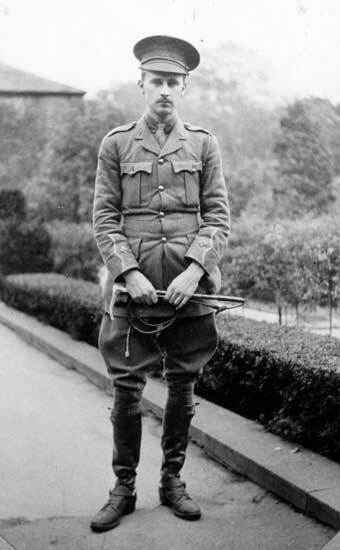 Lieutenant Colonel Edward Cadman Cadman, 5th Battalion, King's Own, 1914. Album of photographs and documents relating to the service of Lieutenant Colonel Edward Cadman Cadman, 5th Battalion, King’s Own Royal Lancaster Regiment and other units. First World War. 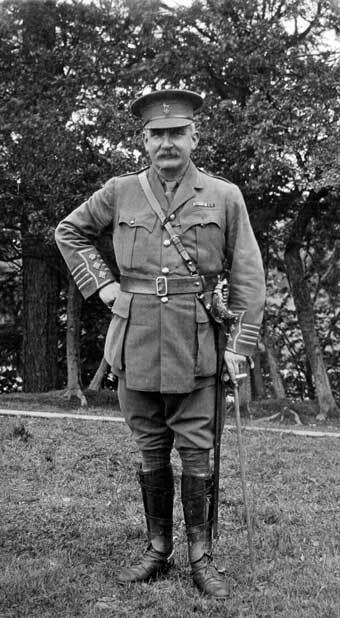 Major Cadman, circa 1914, possibly at Sevenoaks. 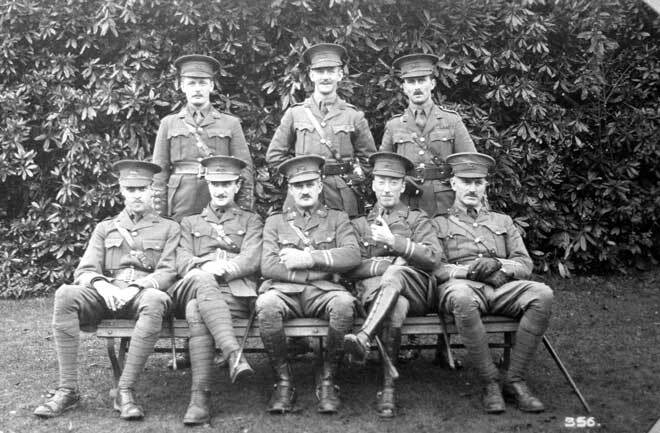 Photo: Group of officers, Sevenoaks, 1914. 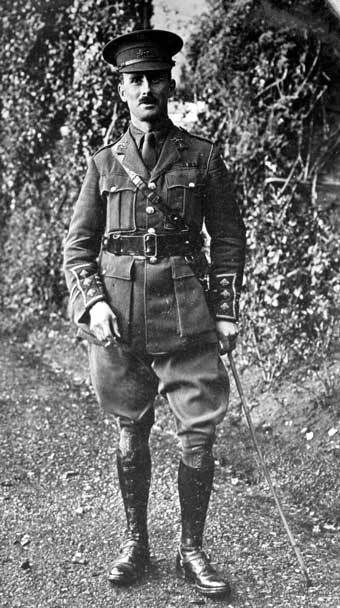 Lieutenant Albert Hodgkinson, Quartermaster, at Sevenoaks, 1914. 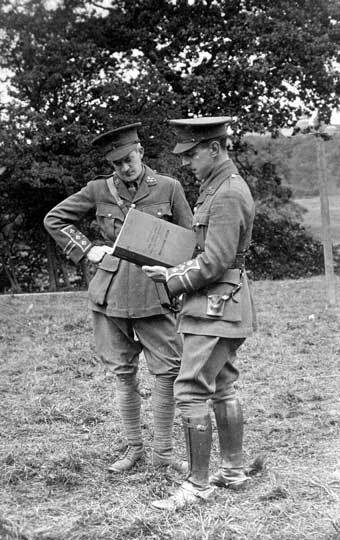 Captain G W Sharpe and Captain J M Young (adjutant) discussing the Mobilisation Orders of the Battalion. 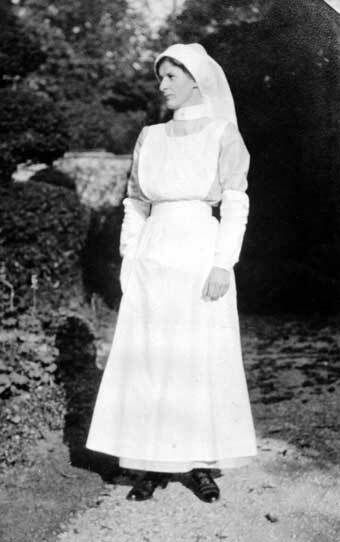 Possibly at Sevenoaks, 1914. 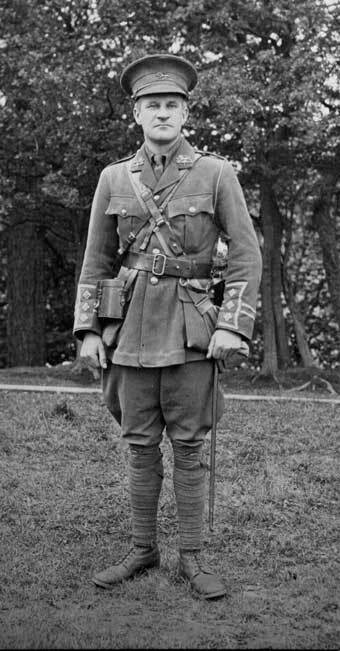 Lieutenant J Preston, Sevenoaks, 1914. 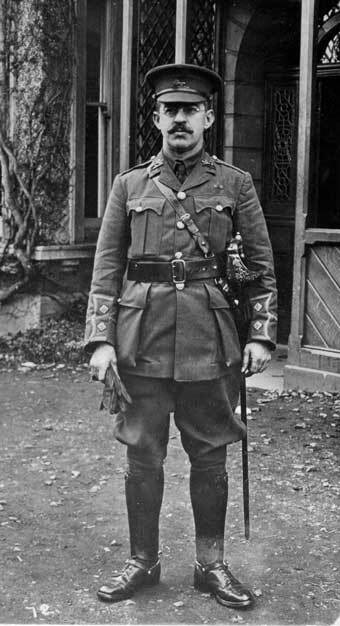 Lieutenant W Sharpe, 5th Battalion, Sevenoaks, 1914. Printed notice: Police Warning, extract from Orders by Colonel G L Hibbert DSO, Commanding North Lancashire Infantry Brigade. Sentries on Bridge Guards are given orders that any person seen loitering in the neighbourhood of the Railway or acting in a suspicious manner is to be challenged and arrested. If the person fails to obey at once he is to be fired on. Not to Advance till allowed. From dusk till dawn all persons should NOT use the Bridges unless there is some necessity to do so. To loiter on or near a Railway or Bridge is an offence, and persons doing so without reasonable cause do so at their own peril, and are further liable to be arrested and tried by Military Court Martial. I would strongly advise all persons not to use the bridges between dusk and daylight. Notice printed by Knill & Sons, Duke Street and Minster Street, Reading. Photo: Soldiers of the 5th Battalion marching down Caton Road, Lancaster, as they leave the wagon works where they were billeted. Photo: Group of officers sat on deck chairs in garden. Photo: Two officers in garden. Photo: Interior view of 5th Battalion soldiers billeted at the former Wagon Works, Caton Road, Lancaster. Photo: Soldiers training at Didcot, Sep 1914. Photo: View of chairs in Garden. Photo: Potato peeling (‘spud bashing’) in the open air, 5th King’s Own at Didcot, Sep 1914. Photo: ‘A’ Company on parade at Sevenoaks, 1914. Photo: Machine gunners at Sevenoaks, 1914. 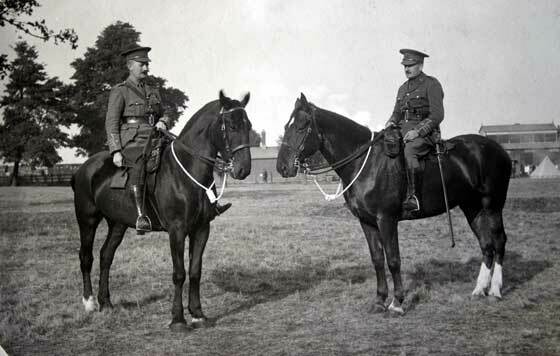 Photo: Major Bates and Major Cadman on horseback, Didcot, Sep 1914. Photo: Soldiers of the 5th Battalion on parade at Sevenoaks, 1914/15. Photo: Soldier (Turner) with horse. Photo: Group of officers and nurse, one officer appears to have a bandage on his head. Photo: Group of officers on steps of a building. 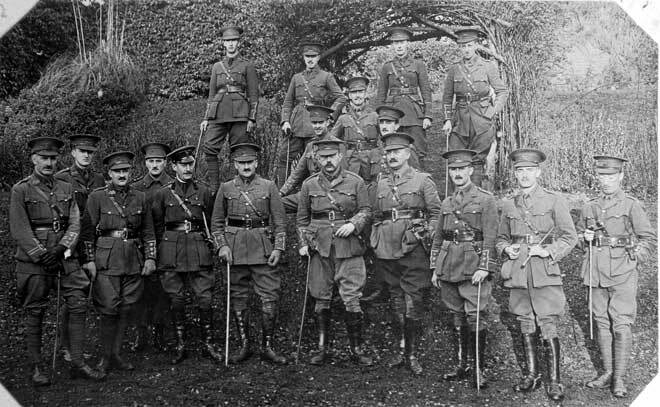 Photo: Officers of the 1st/5th Battalion in France or Belgium, including Lieutenant Albert Hodgkinson, Quartermaster, and a Belgian officer. 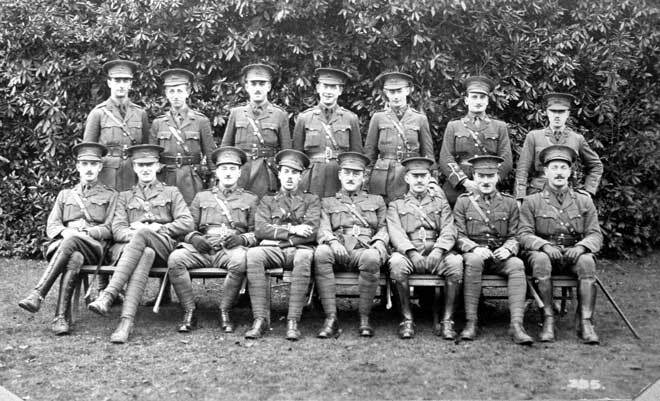 Photo: Officers of the 1st/5th Battalion in France or Belgium, including Lieutenant Albert Hodkinson, Quartermaster and a Belgian officer. Photo: Officer and horse, probably in Belgium or France, 1915. Photo: Copy of a piece of correspondence found on a German soldier’s body. Envelope addressed to Major E C Cadman, postmarked Lancaster 11 Apr 1915 and Field Post Office 18 Apr 1915, with re-directions. 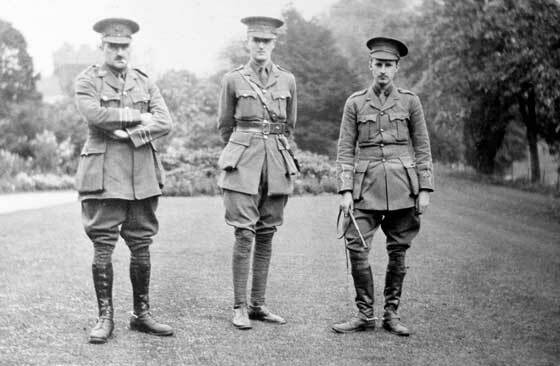 Photo: Three officers of the 1st/5th Battalion outside hut, France or Belgium, 1915. Photo: Two officers of the 1st/5th Battalion outside hut, France or Belgium, 1915. Envelope addressed to Major E C Cadman, 5th King’s Own, postmarked Lancaster 11 April 1915 and re-directed. 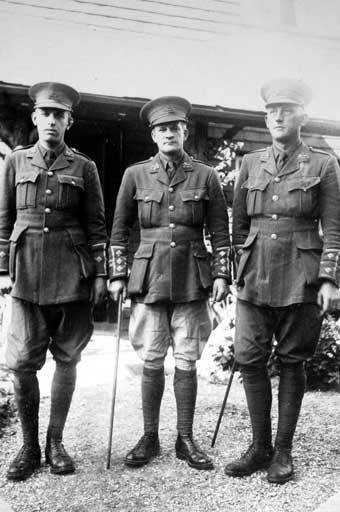 Photo: Three officers of the 1st/5th Battalion outside hut, Belgium or France, 1915. Photo: Three officers of the 1st/5th Battalion outside hut, Belgium or France,1915. Photo: Two officers of the 1st/5th Battalion outside hut, Belgium or France, 1915. Photo: Two officers, one named as Chris Cadman. Photo: ‘Jerry M’ Winner Grand National Apr 1912. The Downs, Findon. Spectators watch a horse and rider along a path. 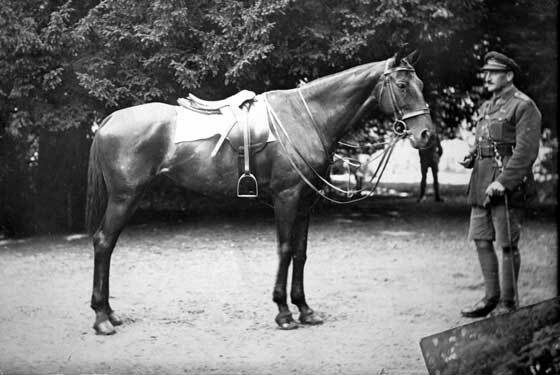 Photo: ‘Jerry M’ Winner du Grand Prix 19 Jul 1910 and of Grand National 29 Mar 1912. Photo: Jerry M and his training. Grand National 1912. Photo: Mark Cook, City Walls, Chester. No. 10. Photo: Horse, ‘Covercoat’ with groom in yard. Photo: Five people in rowing boat. Photo: ‘Covercoat’ winner Grand National Apr 1913, The Downs, Findon. Photo: View of stables, likely to be Remount Depot at Marlow, based upon other photographs. Photo: Lady and horse, Remount depot, Marlow. 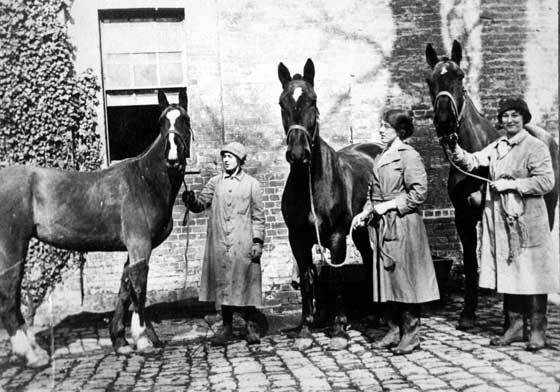 Photo: Three ladies and three horses, likely to be Remount Depot at Marlow, based upon other photographs. 1. The telephones in this office are not for the use of the Battalion but as a convenience for men who wish to speak to their Friends in the trenches. 2. Do not knock on the door. Walk right inside and leave the door open we are used to the fresh air and will not mind the draught. 3. When the operator is taking a message, stamp and whistle. It will hep to liven things up a bit. 4. Don’t trouble to wipe your feet. Come in with the mud on your boots. We admire the effect on the floor. 5. If at any time we are engaged do not hesitate to interrupt us. No business can possibly be of greater importance than yours. 6. If you have any grievances, come and settle them in here. The dressing station is conveniently handy and there is an efficient and willing medical staff. Autographed Menu for 30 Apr 1916, Hotel de Ville de Merville. “Your report on Raid carried out by 2/8th Warwicks received. The GOC congratulates Lieutenant Colonel Cadman and 2/8th Warwicks on their gallant efforts which deserved more success. Photo: Men of the 2/8th Royal Warwickshire Regiment on board ship, possibly in transit from England to France. 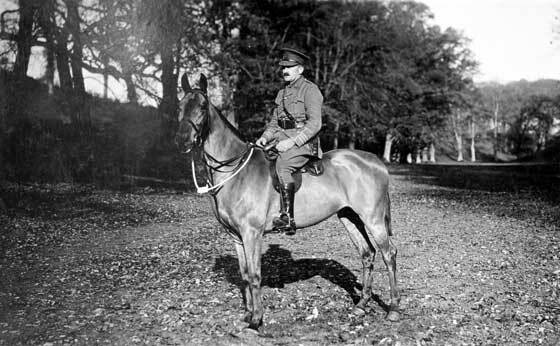 Photo: Officer and horse, probably of the 2/8th Royal Warwickshire Regiment. Currency: Chambre de Commerce Bethuen, 50 Centimes note. Currency: Ville d’Abbeville, et Chambre de Commerce, 50 Centimes note. 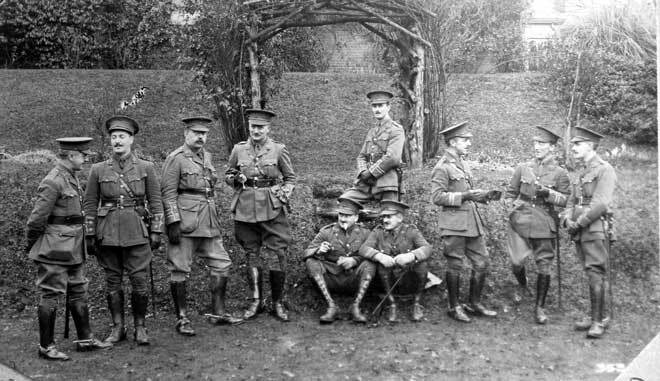 Photo: Officers of the 2nd/8th Warwickshire Regiment in France or Flanders wearing tin helmets with cap badges clearly attached. Photo: Headquarters Signallers, 2nd/8th Battalion, Warwickshire Regiment. 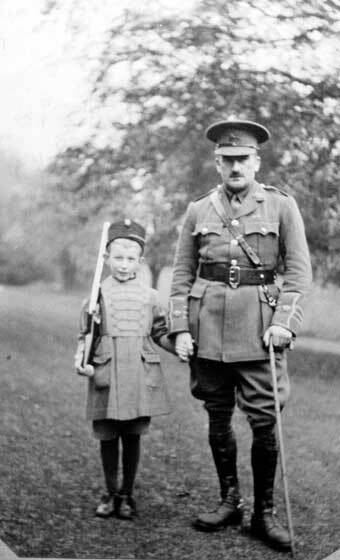 Photo: ‘Betty’ (horse) and Captain, 2nd/8th Battalion, Warwickshire Regiment. 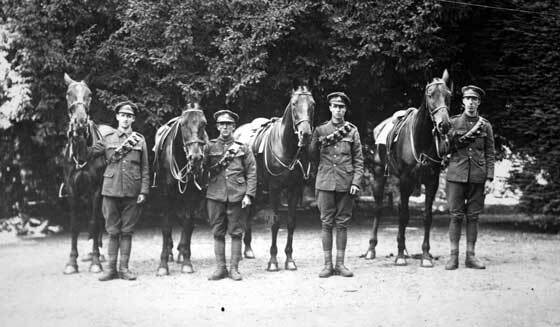 Photo: Four horses and four soldiers, left to right: ‘Susan’, ‘Betty’, ‘Miss Jones’ and ‘John Willie’. 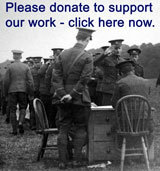 Message to Lieutenant Colonel E C Cadman, DSO, 2/8th Battalion The Royal Warwickshire Regiment (TF). 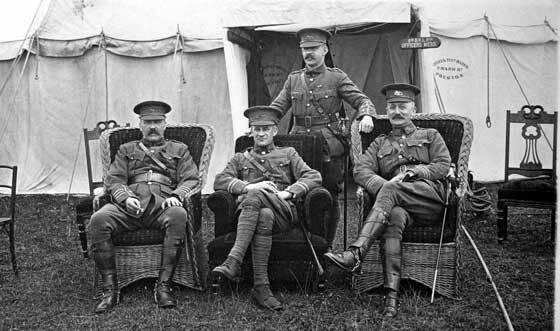 “With the congratulations of Major General Colin Mackenzie CB, and officers of the Headquarters Staff, 61st Division. 5 Jun1917. To Colonel Cadman. Hearty Congratulations on well deserved honour for you and battalion. 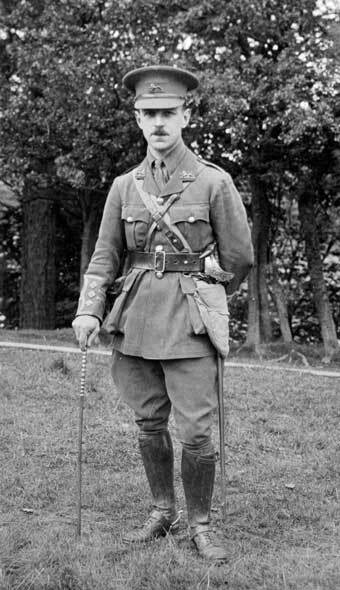 Award of Distinguished Service Order to Major (Temporary Lieutenant Colonel) E C Cadman, 5th Battalion, Royal Lancaster Regiment, attached to 2/8th Royal Warwickshire Regiment.) 4 Jun 1917. With ‘The Statutes of the Distinguished Service Order” and telegram, dated 17 Nov 1917. 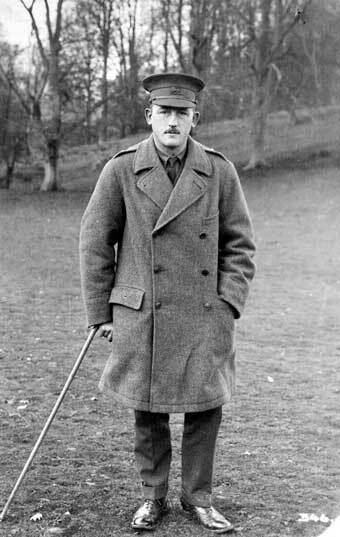 From Buckingham Palace – to Lieutenant Colonel Edward Cadman at Piccadilly Hotel, London. “Your attendance is required at Buckingham Palace on Wednesday next the twenty first instant at ten o’clock am Service Dress Please Telegraph Acknowledge Lord Chamberlain, London. Special Order of the Day, From Major General Mackenzie, Commanding 61st Division dated 31 Mar 1917 and in pencil 1 Apr 1917, also signed by Lieutenant and Adjutant, 2/8th Warwicks. Memo to Officer Commanding 2/8th Battalion, Warwicks, from Brigadier General Blacklock, Commanding 182nd Infantry Brigade. 14 Feb 1917. Memo from 61st Division to 182 Infantry Brigade on the actions of 2/8th Warwicks on the night of 3/4 Oct 1916. Photo: Special Order of the Day by Major General Colin Mackenzie, Commanding 61st Division. Headquarters, 19 Sep1917. Message from GOC Fifth Army, of which the 61st Division had been part. Letter from Major General Colin Mackenzie, commanding 61st Division, 26 Jan 1918 to Colonel Cadman, concerning the sad news that six battalions of the 61st Division are to be disbanded. Letter dated 25 Jan 1918 from General Sir H de la P Gough, KCB, KCVO, Commanding Fifth Army, on the disbanding of the 2nd/8th Battalion of the Royal Warwickshire Regiment. Letter dated 20 Jan 1918 from Field Marshal Haig to General Sir H de la P Gough, Commanding Fifth Army on the reduction of the size of the force and disbandment of battalions. Farewell Order of the 2nd/8th Battalion, The Royal Warwickshire Regiment. Signed by Lieutenant Colonel E C Cadman. Letter to Lieutenant Colonel Cadman from Charles Sackville-West, dated 2 Sep1917, concerning the 2nd/8th Battalion Warwickshire Regiment and the 182nd Infantry Brigade. Christmas Card from Captain Simpson, 1st/5th Battalion, King’s Own. Christmas Card, 61st Division, 1917. Programme for Divisional Race meeting, 18 Jul 1917. Christmas Card, 1917, from the British Red Cross Society and Order of St. John. Programme, Black Square Concert Party, 21 Sep 1917. 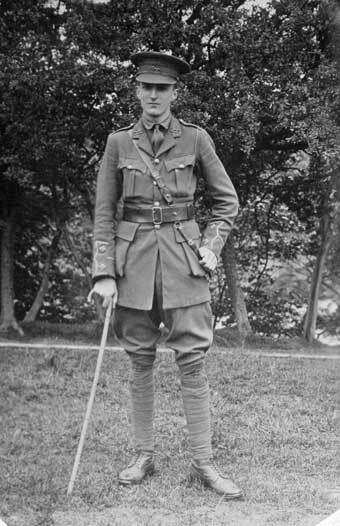 President Lieutenant Colonel E C Cadman, DSO. “This Parcel contains a selection of chocolates at present being manufactured by Cadbury Brothers Ltd, Bournville, England for the Home and Export Markets. 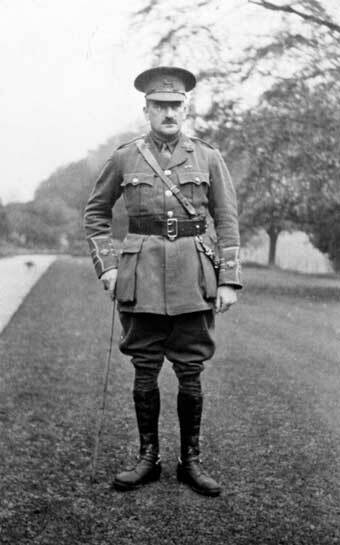 Photograph of Colonel E C Cadman of the 2nd/8th Warwick on board ship as the battalion sailed from England to France. Message on rear addressed to Colonel Cadman, from ‘Morris’ who is on the mend and expecting to be back in three to four weeks.